The second edition of the “Biennal of Drawing”, held from 23 April to 10 July 2016, has transformed Rimini in the author’s drawing capital. Conceived by the City of Rimini and the Municipal Museum, the Biennal has invaded the historic center with more than 2000 works distributed in 29 exhibitions. This second edition, entitled “Profiles of the World“, has in fact involved the most attractive and well-known of Rimini, from Castel Sismondo to Palazzo Gambalunga, from the Complex of the Augustinians to the City Museum. With partners such as Polo Museale dell’Emilia Romagna and the Institute for Cultural Heritage, “The Biennial of Drawing – Profiles of the World” has emerged as one of the most important exhibitions in the Country, receiving prestigious loans from across the region and private collectors. Characterized by combinations of classic and contemporary drawing, the “diffused exhibitions” propose a wide thematic path capable of ranging from Tiepolo, Guercino and Guido Reni to Mario Sironi, Schifano and Pericoli to Andrea Pazienza. Massimo Pulini, Councillor for Culture of Rimini: “The 9 venues that host these 29 exhibitions are places of identity, cultural epicenters of our city. These places will return to visitors the ideal embrace of the city”. 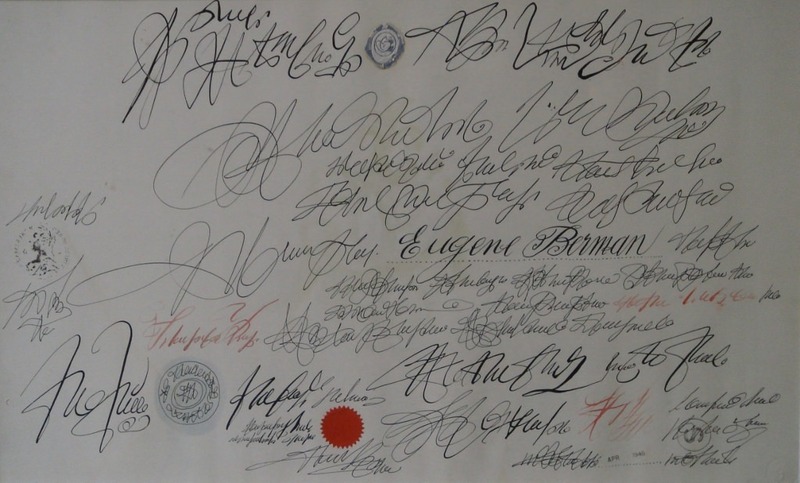 Giorgio Baratti Antiques participates in the Biennal of Drawing with the loan of The Martyrdom of Saint Agatha by Cesare Pronti and To Eugene Berman by Saul Steinberg. 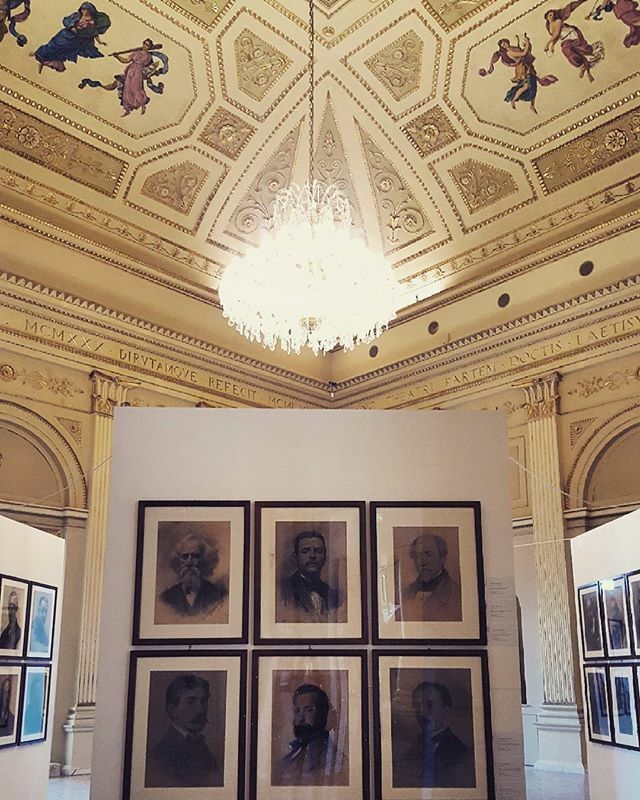 And especially with the exhibition of the gallery of portraits and the collection of caricatures of the Cenacolo Belgioioso, depicting the members of the Milanese Società Artisti e Patriottica. From the presentation of Massimo Pulini, Councillor for Culture of Rimini: Palazzo Belgioioso, during the Risorgimento in Milan, had a circle of artists who, of their own accord, made portraits on the wall for every new arrival in this patriotic group. Artists depicting other artists then, who made their posing friends look like noblemen. The look, the thoughtful expression, the haircut, the curated beard and mustache, the starched collar and lively eyes, all distilled these faces into singular characters, and together they create an acute and punctual repertoire of the morals and politics of those Italian generations. This series of clear and serene faces, caught in the weekday attitude of a night spent discussing, perhaps with a glass at hand and a cigar in the ashtray, is worth much more to me than the constrained paintings of historical themes, that depict episodes of national Risorgimento, deploying through imagery the civil and political rhetoric of the time. With extraordinary expressive summary, captured with the sobriety of only one black pencil, or white chalk for the lightest parts, with the simple support of a pastel sheet of paper and with the wealth of a measured and attentive gaze, the elegant discipline of these Lombard portraits came to be. An elegance that spirals from the intellectual aristocracy towards the burgeoning world of the bourgeoisie, nearly seamlessly. All of this thanks to the numerous portraits that almost seem like a film, when taken all together. A type of documentary is formed that puts physiognomy and thoughts in sequence, attitudes and temperaments of a crowd of artists and sculptors that marked the tastes and customs of a political and cultural capital between the end of the 19th century and the beginning of the 20th century. 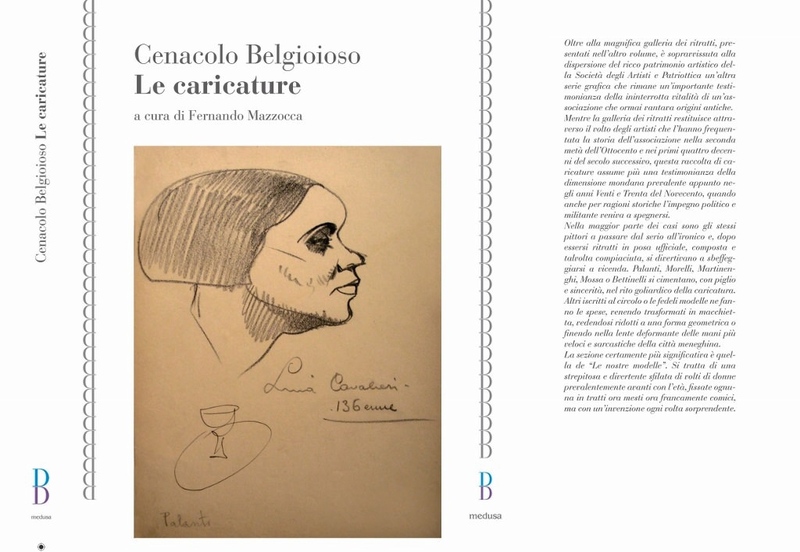 Edizioni Medusa, for this occasion, published the two catalogs of the exhibition curated by Fernando Mazzocca: the first one dedicated to the gallery of portraits, the second one to the collection of caricatures. Miraculously survived in its entirety to the dispersal of the artistic heritage of the Società degli Artisti e Patriottica thanks to a providential intervention of protection and to the sensitivity of its current owner Giorgio Baratti, this extraordinary gallery of 150 portraits represents a key element not only to reconstruct the artistic aspect, but also the face, through the image of the protagonists of Italian cultural life, of Milan from the second half of the Nineteenth century until after the Second World War. A collection of paintings, statues, prints and art books that “went enriching thanks to an uninterrupted production of portraits of members. A production born without directive and without a specific choice of people to portray, regardless of the name and seniority merits. So, next to portraits of supreme masters are some unknown name, next to famous painters and sculptors some pale amateur”, as the historian Fernando Mazzocca writes in the book. 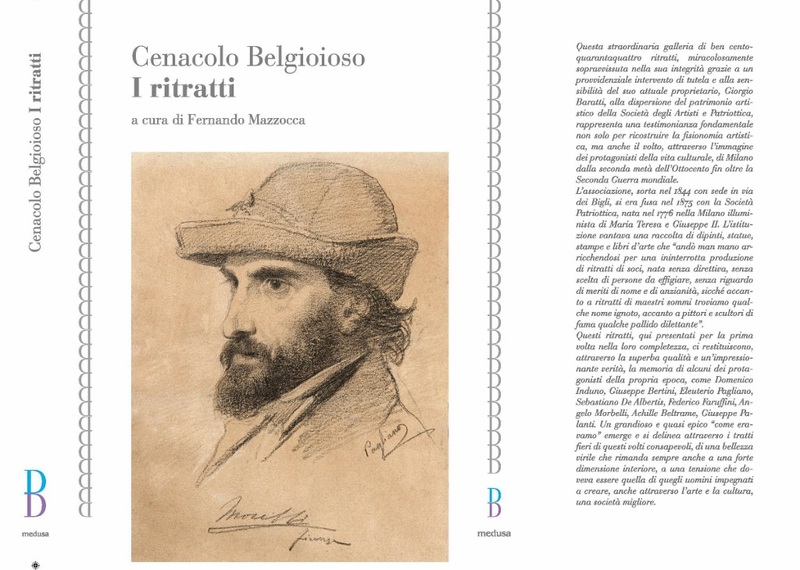 These portraits, mostly unpublished, give us back with an impressive truth the memory of some of the protagonists of the time as Domenico Induno, Giuseppe Bertini, Eleuterio Pagliano, Sebastiano De Albertis, Federico Faruffini, Angelo Morbelli, Achille Beltrame, Giuseppe Palanti. A grand and almost epic “how we were” emerges through the proud features of these aware faces; faces of a manly beauty that always refers also to a strong interior dimension, to a tension which had to be that of those men committed to creating, also through art and culture, a better society. In addition to the magnificent gallery of portraits presented in the other volume, it has survived to the dispersion of the rich artistic heritage of the Società degli Artisti e Patriottica another graphics series that remains an important evidence of the artistic and social history of united Italy. This collection of caricatures becomes a clear example of the mundane dimension prevailing between late Nineteenth and early Twentieth century. In most cases are the same painters to move from the serious to the ironic and, after having portraited themselves in official pose, they amused themselves to mock each other. Palanti, Morelli, Martinenghi, Mossa or Bettinelli test themselves, with manner and sincerity, in the amusing rite of caricature.